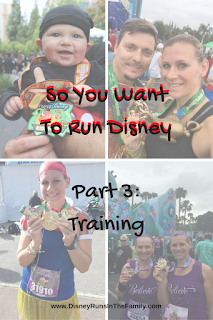 I struggled with the next step; do you start training or do you plan your race-cation? 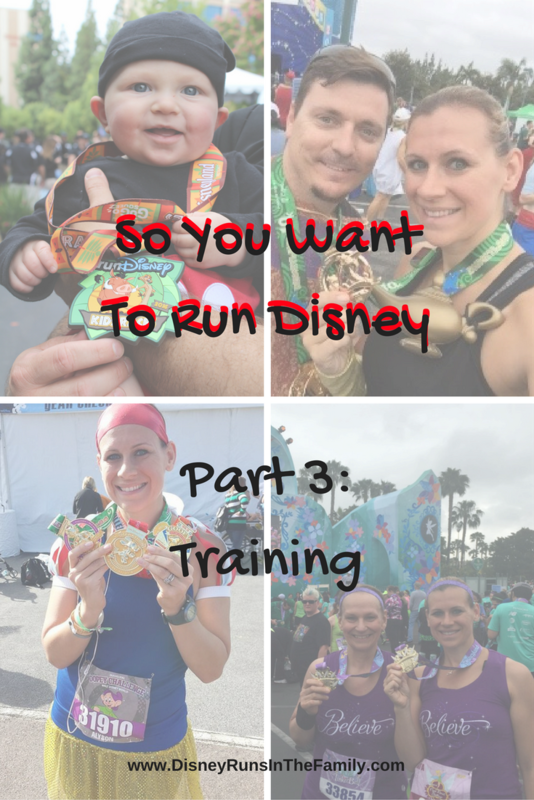 I finally settled on training, because it would just be much easier to write than planning your race-cation :) If you missed Part 1 (choosing a race) or Part 2 (registration), check them out HERE (part 1) and HERE (part 2). Now, onto the really hard part: training. Couple of reasons to train: First, your body is not meant to wake up and run a marathon. I don't care how many Zumba classes you take (and I'm an instructor, so yes, I do know that those classes are a great workout), it's not the same as pounding the pavement. In order to run safely, you need to put in the training miles and gradually work up to longer distances. There are many benefits, cardiovascularly, muscularly, etc. that occur during this gradual build. Second, you want to have FUN, remember? Isn't that a main reason why you plunked down the big bucks to run at Disney? I promise, the race will be so much more fun when you are properly trained and not in misery every step. Third, remember that Disney part? I find no greater joy than celebrating with your medals in the parks after the race! 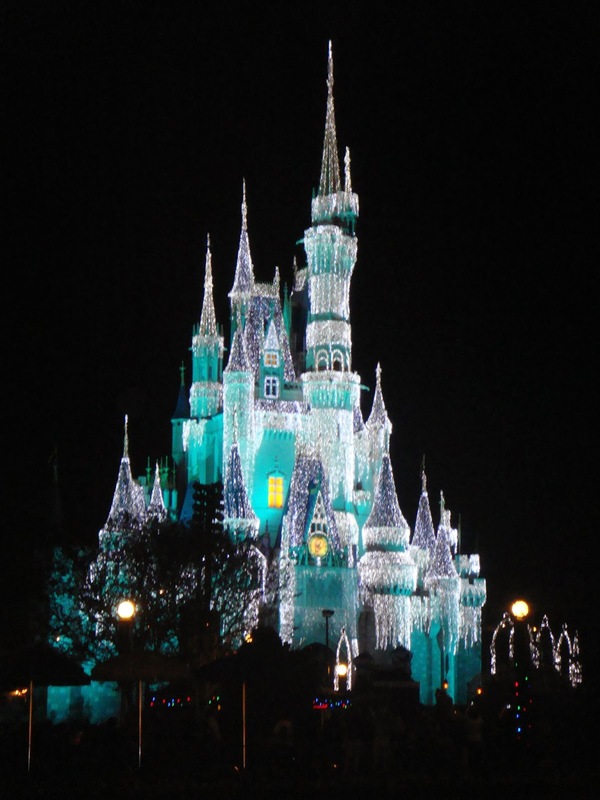 You will want to train so that you are not miserable getting in and out of Space Mountain with your friends and family. Finally, the sense of accomplishment is so much greater when you have really put forth effort to get there. Finishing any race is a huge accomplishment, but the journey to the start line is as well. That victory is so sweet when it's paired with the memory of those mornings you didn't hit the snooze, those bad runs that made you doubt yourself, those great runs that gave you confidence, and each and every mile you logged to make it to the finish. <Stepping Down From My Soapbox> Okay, I hope I have you convinced that training is important. 1. Take Inventory. Where are you starting from? Have you never run before? Are you coming off another race? Are you attempting a new, longer distance? Will this race be a challenging distance? What is your goal? 2. Set your goals (and yes, I mean goals). Is your goal to finish? Are you aiming for a PR (personal record)? I like to set 3 goals; I got this idea from an article in Runner's World a while back: one I absolutely will accomplish (finish the race), a second that is fairly reasonable but still a challenge (run negative splits), and a third that is the "perfect" goal, the big one (run a half in under 2 hours). This helps so that I have a few focuses for the race. For example, during the 2013 Disneyland Half Marathon, the temps were HIGH! I knew a PR was out of the question--it just wasn't safe. Instead, I focused on my first two: finish, negative splits. I still felt like I accomplished a lot of what I had set out to do. 3. Find a training plan that fits into your goals. Some of my favorites are Hal Higdon and Jeff Galloway. I have used them both in the past with great success. This year, I am thinking of adding Hansons Running as well. Couch to 5k is awesome for beginners getting ready for the 5k races. These plans will work well for most runners. 4. Map it out! Get out your calendars! Put in your race day(s) and start counting backwards. Do you know of any major plans mid-training? Account for those too. I've run enough that I even sometimes mash up some training plans to come up with my own. If you do that, some general rules of thumb: increase your weekly mileage by no more than 10%, be sure to give yourself rest days, don't try to load up your calendar. You always also have the option of hiring a coach. They will create a tailored plan based on your current fitness and goals, and help you stick to that plan. 5. Train!!! Then train some more!!! Do what is on your plan!!! It sounds easier than it actually is. Life gets in the way sometimes, and that's okay. Try to get in 80-90% of your scheduled runs. If you need to skip one here and there, try to at least get in all your long runs. Those short runs are important too. Personally, I like to keep a log. It keeps me honest and keeps me motivated. Also, don't keep wavering between plans. I only learned of people doing this since I started coaching others. Who knew? Lots of runners spend hours researching, reading, and then, to their disadvantage, flip flopping between a bunch of plans. The best plan is the one you stick with, so pick it and stick to it. Yes, you can get tips and make modifications, but don't be tempted by every blog post or pinned article to find. 7. Train everything, from your head to your toes! This is an essential part of training. You are not just training your legs, but you are also doing a dress rehearsal for everything else. What kind of fuel will you use? What will you wear? When do you need to replace your sneakers--and at what point in training will you do so? Try everything you can so there are no surprises on race day. 8. Strength train, too. Yes, many people will say this is not necessary, and it might not be. I, however, have had some injuries in the past, and I notice a significant difference in my pain levels when I do focused strength training. This needs to be individualized, so if you are not confident in your knowledge, do some research. You may even consider hiring a personal trainer or consulting with a physical therapist. While strength training isn't likely to "improve" your running speed/skills, it will do wonders to correct imbalances or weaknesses. Those imbalances and weaknesses can come back to haunt you in the form of injuries as you ramp up mileage. 9. Stretch. Yes, I even put this in my training plan. Pick your poison: The Stick, a foam roller, just good old-fashioned stretching. This with help reduce soreness and helps to break up adhesions in your muscles and fascia. Wouldn't it be nice to have a clean 10-item list? Well, it would, but this is all I've got for now :). BUT HERE'S THE EDIT! Now I have a 10th item! 10. Hire a Coach or Find an Accountability Partner. This is a lessen I learned both as a running coach and as an online health & fitness coach. Accountability works! You can have the best plan in the world, but if you don't stick with it, you will fail. It's important to have someone who you can ask questions to, get help from, and keep you on track when you want to falter. If you are interested in a coach, please reach out! I'd be happy to help, either by coaching you directly or, if it's not within what I feel I can do, refer you to another trusted coach. I hope this helped guide you in starting to train. Comment below with any questions or training tips you might have. We'd love to hear from you! Disclaimer: I'm giving this advice as one runner to another. I am an RRCA certified running coach, a certified personal trainer and group exercise instructor. When I wear those hats, however, I design plans specific to the client. I am not a doctor...and won't be anytime soon. If you have any high risk needs, please work with medical professionals to be sure you are safe in your approach to training. You should consult a doctor before beginning any exercise/training program. Be sure to like our page on Facebook, follow us on Twitter and Pinterest, and subscribe to the blog!